Things went from bad to worse for Facebook's shareholders earlier today after the stock closed down an additional 10%. FB (Facebook, Inc.) closed at $28.84 earlier today, down nearly 10% from Friday's close. 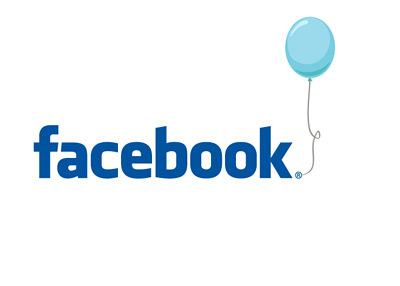 Facebook's first day as a publicly traded company was May 18th, 2012. After pricing its shares at $38, Facebook gapped up to $42.05 before closing the day at $38.23. Facebook's underwriters created a wall of buying at $38/share in order to keep the stock above its offering price, and it worked - temporarily. The writing was on the wall - the public did not believe that $38 was a fair price for the company, and shares quickly skidded after underwriters gave up the $38 level. Shares traded down all the way to $30.94 on Facebook's third day of trading, bounced to the low $33s and then continued their descent to the sub $30s. As it stands right now, Facebook currently has a valuation of $61.66 billion. This means that approximately $35-$40 billion in market cap has disappeared between May 18th and today. When will Facebook's swoon end? Some people believe that Facebook is still hideously overvalued, so they obviously believe that Facebook's drop has plenty of room to go. The sad thing about the Facebook debacle is that it has shattered the (somewhat shaky) confidence that many people had in the stock market. After the financial crisis of 2008-09, many Americans had their investment portfolios absolutely obliterated. Years went by, portfolios strengthened and solidified, and many Americans started to have a sunnier view of the markets. The Facebook IPO came along, and many American households decided to get in on the fun by grabbing some shares when the stock opened for trading. The IPO is a complete disaster, orders are botched, practically everybody loses money and Facebook's lead underwriter cuts their revenue projections for the company JUST before the IPO. Many people are still holding their Facebook shares and are currently looking at losses of over 30%. Many people are justifiably pissed after taking a bath on such a high profile IPO and are washing their hands of the market and retreating back to their mutual funds. Looking back on the last couple of weeks, it's really quite unbelievable how poorly the Facebook IPO has gone. After months of meticulous planning, it's almost like the IPO was intentionally botched - that's how badly things have gone. Where to for Facebook's shares now?